Ben Frost has made it onto FACT Magazine’s quarterly 20 Best albums list. 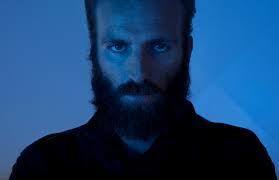 Ben Frost is an Australian composer and producer long based in Reykjavík, Iceland. His latest studio album Aurora, influenced by his time in the eastern Congo, has been highly acclaimed by critics everywhere from Pitchfork to Q Magazine. And that’s great if you like minimalist, instrumental and experimental music. We pretty much get severe anxiety after only 30 seconds. The electro pop duo Highlands has grown to be a big name in Iceland. But now they decided to change name to Young Karin instead. The name change is the result of pressure from another band with the same name. “They will play hardball if we use it,” says Logi Pedro Stefánsson on Highland’s Facebook page. The new name refers to singer Karin Sveinsdóttir’s young age. Neil Young is headed to play his first ever concert in Iceland. The concert will be part of an extended programme of ATP Iceland dubbed the ATP Takeover Series. 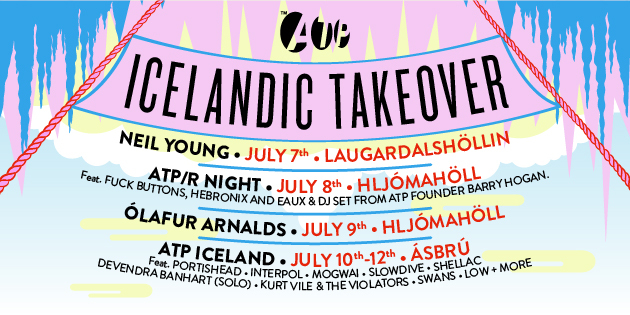 The organizers have announced a programme of gigs on the nights between Neil Young & Crazy Horse (July 7th) and the second ATP Iceland festival (July 10-12th), including a special show by Ólafur Arnalds on July 9th. The festival already boasts a impressive lineup that includes Portishead, Interpol, Mogwai, Slowdive, Shellac, Devendra Banhart, Kurt Vile & The Violators, Swans, Loop, Low, Liars and many more. Útidúr is a ten piece group from Iceland that plays what they call “joyous and ambitious chamber-pop with a dramatic streak”. This motley band of musicians are now about to head off on a tour of Germany are also letting any potential listeners download their last album Detour absolutely free. Here you go. Enjoy!